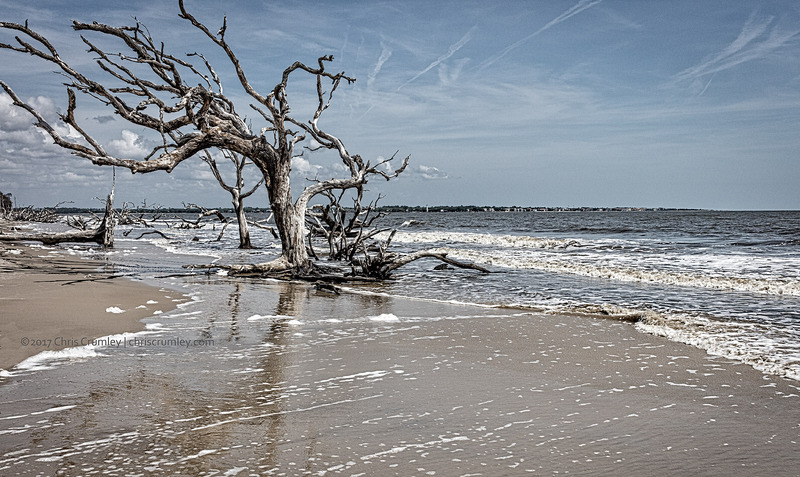 Driftwood Beach, Jekyll Island, Georgia. Thousands of driftwood-like trees embedded in the sand. A hauntingly-beautiful spot for relaxing and photography.